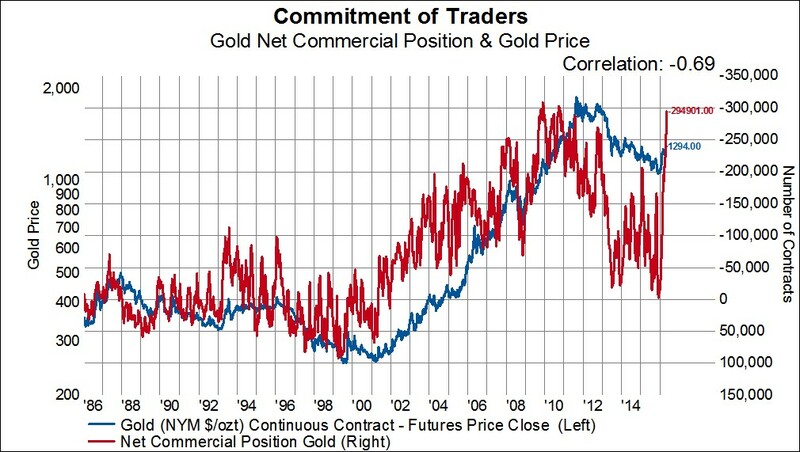 The latest (5/6) commitment of traders report showed some extreme net commercial positions for both gold and silver. 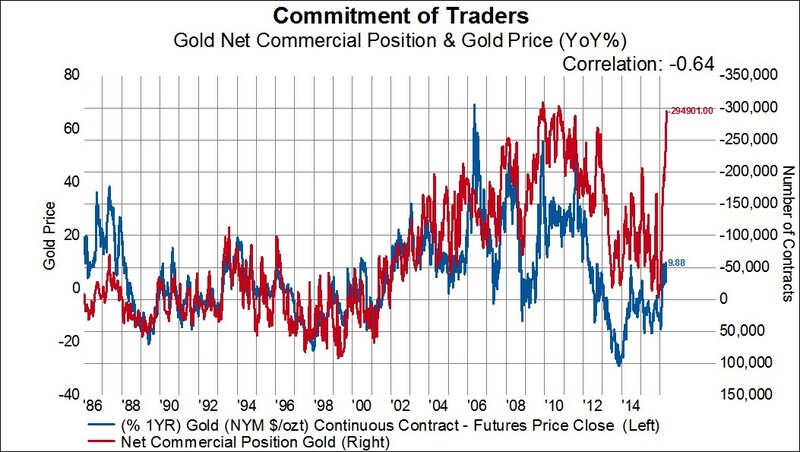 Commercial traders are net short nearly 300k contracts of gold. This is the largest net short position since October 2010. Even as gold is off about 2% today, the net short position in gold should be viewed bullishly for gold. Since the commitment of traders report started tracking gold position, the net commercial potion in gold has had a -69% correlation to the price of gold and a -64% correlation to the one-year change in gold price. The current net commercial position in silver is even more extreme, however, it is less clear what that means for silver price. 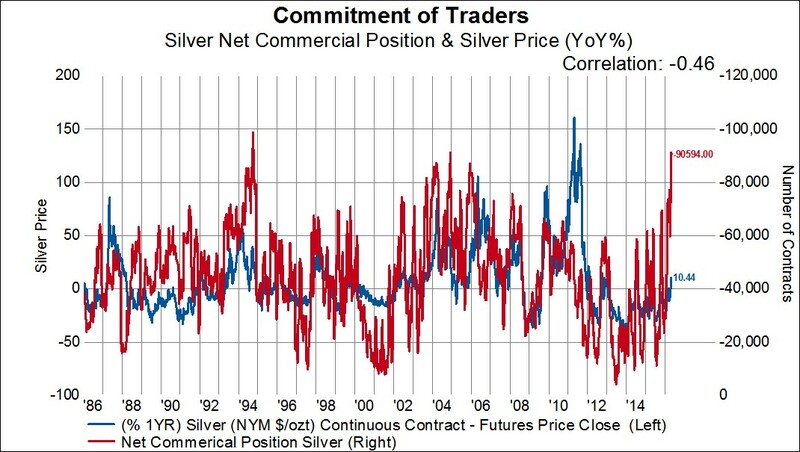 Commercial traders are net short about 90k contracts in silver. Other than on 4/29/2016, commercial traders haven’t been this net short of silver since December 2004. However, unlike the commitment of traders data for gold, this series hasn’t had a strong relationship to silver prices. 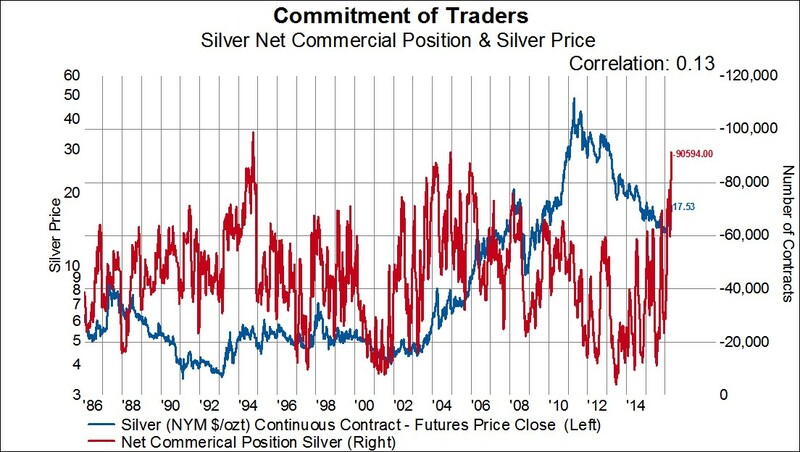 It has had just a 13% correlation to silver prices and a -46% correlation to the one-year change in silver prices.